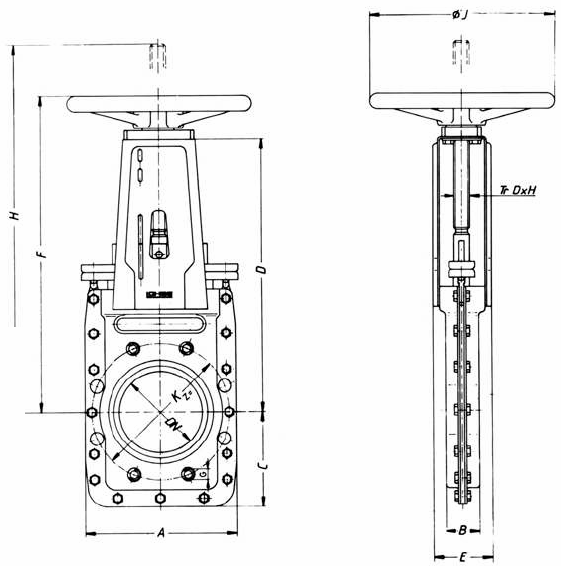 The Lohse plate valve type CNA is a knife-edge valve and available in the diameters DN 50 up to DN 600. 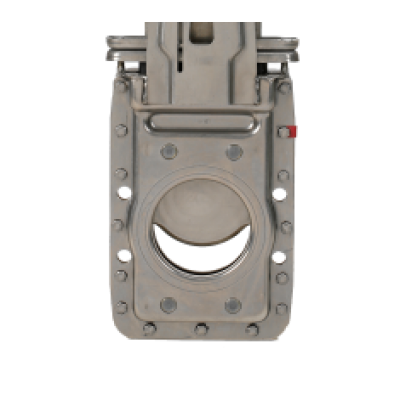 The shut-off valve is single sided sealing and the slide is shaped so that the deposition of solid parts (e.g. sand) is prevented. The valve is equipped with plastic inner guides with a low friction factor so there is relatively little force required to operate the valve. The standard sealing is EPDM rubber. (In addition, NBR and Viton rubber seals available) All Lohse valve use the modular Lohse drive system.